After receiving a BA from Stanford University and PhD from the University of Adelaide Dr. Lack has been teaching and conducting research in the areas of sleep, circadian rhythms, and insomnia at the School of Psychology, Flinders University since 1972. He has received seven large ARC and NHMRC research grants, published over 80 refereed articles and book chapters, and given over 10 invited keynote lectures to national and international conferences and 250 conference papers in the sleep area. He has had considerable clinical involvement since 1992 in the design and management of the non-drug insomnia treatment program at the Adelaide Institute for Sleep Health, Repatriation General Hospital, S.A. He presents his research and clinical experience frequently to health professionals (medical practitioners, psychologists, pharmacists) and to the general public in the media. 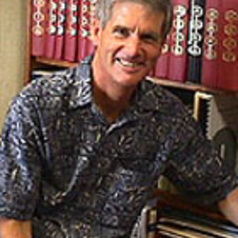 Professor Lack is an exemplar of the scientist/practitioner model of psychology.